"It's summer in the Granite City, but even the sunshine can't improve the mood at Grampian Police Headquarters. Aberdeen's growing Polish community is under attack from a serial offender who leaves mutilated victims to be discovered on building sites -- eyes gouged out and the sockets burned. 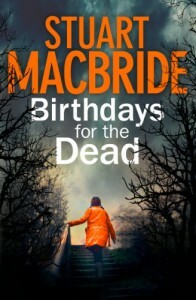 Detective Sergeant Logan McRae is assigned to the investigation, codenamed Operation Oedipus, but with the victims too scared to talk, it's going nowhere fast. 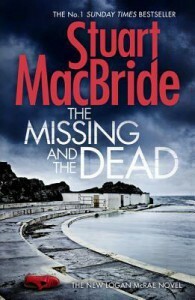 When the next victim turns out to be not a newly arrived eastern european, but Simon McLeod, owner of the Turf n' Track bookies, Logan suddenly finds himself caught up in a world of drug wars, prostitution rings and gun-running courtesy of Aberdeen's oldest and most vicious crime lord." "Logan walked over to the window, rubbing a clear patch in the dusty glass. Looked like another beautiful day to be a police officer, with outbreaks of infighting, sulking, and recriminations." 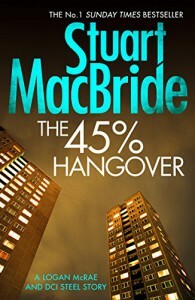 In Blind Eye, Book 5 of the Logan McRae series, Logan and Co. are back with bacon butties, hangovers, and all-around police investigation shenanigans. But it's not all fun and games--Logan has a bit of a tough time in this, and has to deal some serious demons. It was a new side to Logan's character that was interesting to watch. DI Steel is more brilliant than usual. 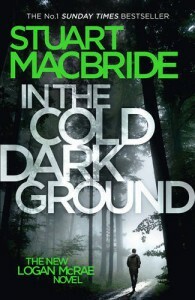 MacBride adds another dimension to her here, including allowing us to see her life outside of HQ, making her even more human and likable. It was a pleasure to see these other facets of her character, all of which made me adore her that much more. 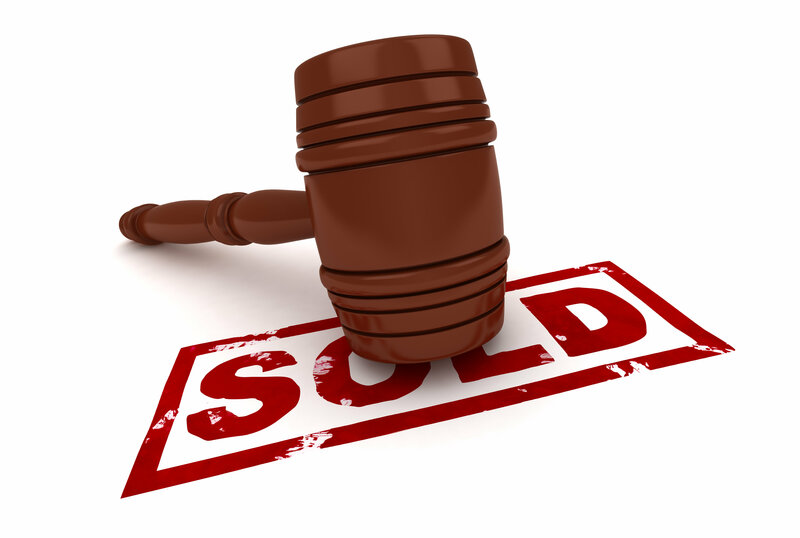 In terms of the case they worked on, it was great and what I've come to expect from this series. My only issue is that Logan sometimes tends to miss obvious clues. This has been an issue in previous books, with the exception of Book 4, but here this trait was at an all-time high. It drove me nuts because it almost verged into stupid territory. But, ultimately it didn't matter since I still loved the story. I stayed up later than I should have on numerous nights because I couldn't put it down. So, would I recommend this to fans of the series? Yes, definitely. 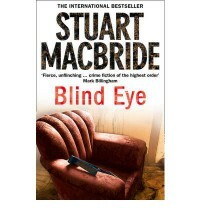 Blind Eye is another great installment of the Logan McRae series. If you have a few hundred thousand dollars to spare, then perhaps you might consider taking a space flight with Jeff Bezos' space company, Blue Origin. Interested? The founder of Amazon told reporters on Tuesday that his company plans on offering space flights by 2018. Paying clients can expect to fly "more than 62 miles above Earth, high enough to experience a few minutes of weightlessness and see the planet set against the black sky of space." Game of Thrones Season 6 trailer. Squeeeeee! 1. Kat Latham's One Night With Her Bachelor: A sweet, light contemporary romance. Loved everything about this story. Rating: 4 stars. 2. Cassie Alexander's Eddie Spence series, Books 2-5: This is a darkish, noirish, quirky urban fantasy series. I was devastated to learn that the publisher decided not to continue this series after Book 5. The last book does offer a conclusion, but there are enough dangling threads that the series could have easily used another 2 books in order to feel like it was fully completed. I'll miss this series so very much. Ratings: Moonshifted (Book 2): 3.75 stars, Shapeshifted (Book 3): 4 stars, Deadshifted (Book 4): 4 stars, Bloodshifted (Book 5): 5 stars. 3. Marcus Sakey's Brilliance Saga, Books 2 and 3: A nail-biting, fun, thrilling, action-packed story. This is essentially an action film on paper, which sounds like something that couldn't work, but worked great in this instance. Ratings: A Better World (Book 2): 4 stars, Written in Fire (Book 3): 4 stars. WARNING: BLURB CONTAINS MAJOR SPOILERS FROM BOOK 2. "For thirty years humanity struggled to cope with the brilliants, the 1 percent of people born with remarkable gifts. For thirty years we tried to avoid a devastating civil war. Nick Cooper has spent his life fighting for his children and his country. Now, as the world staggers on the edge of ruin, he must risk everything he loves to face his oldest enemy—a brilliant terrorist so driven by his ideals that he will sacrifice humanity’s future to achieve them." 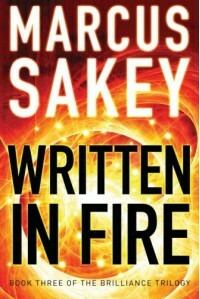 In Written in Fire, the conclusion to the Brilliance Saga trilogy, author Marcus Sakey once again ratchets up the tension and suspense. As was the case with Book 2, there were moments that the tension and suspense were so high that I had to stop myself from skipping ahead. some readers who like a nice, tight ending may not be happy. There are enough dangling threads that the trilogy could be stretched into a fourth book. All in all, Written in Fire is a satisfying and thrilling ending to a great story. A big giant thank you to Paper Soul, my lovely Secret Valentine, for the wonderful Valentine's Day gifts. I received Dark Blood by Stuart MacBride (you all know I girl-crush that series), as well as one of her personal favorites which she wanted to share with me, Air Awakens by Elise Kova. How thoughtful and awesome is that?! Thank you so much, Paper Soul! Happy Valentine's Day!